we have been providing shop drawings and services for the architectural woodwork industry. You can be assured you are working with professionals who have years of experience. All of our drawings are produced to meet or exceed your standards. 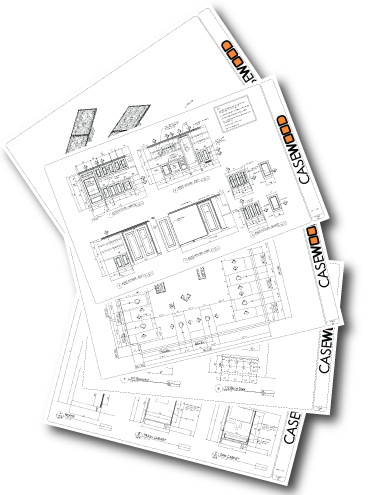 At Casewood we offer cabinet shop drawings to our clients with top notch customer service and design, to help expand and grow your business. We are here to help you achieve your goals. We focus on supporting the Commercial Cabinet and Architectural Woodwork Industry. With years of experience working in the industry you can be assured you will receive a product you would be proud to call your own. We know in today’s economy saving money is a key ingredient to success, that’s why we exist. We can help by providing shop drawings as an addition to your existing workforce or we can be your workforce. With extensive knowledge of AWI Quality Standards and M3 certification from the Woodwork Institute you can be assured you are working with professionals in the industry. We use AutoCAD to produce our drawings and have extensive knowledge in the common standards used. We provide a FIXED PRICE on your project before any work begins so there are no surprises. You will have a detailed proposal with the scope of work identified. We can also provide pricing before you submit a bid to a contractor or client. Submit your project to us and we can respond with a cost within 24 hours and many times the same day. Shop drawing quality is important and that is why we work with you to make sure you get exactly what you want. Whether you need us to match your style and standards or you want us to create your standards. You can be confident that what you receive will be something you would be proud to call your own. We care.